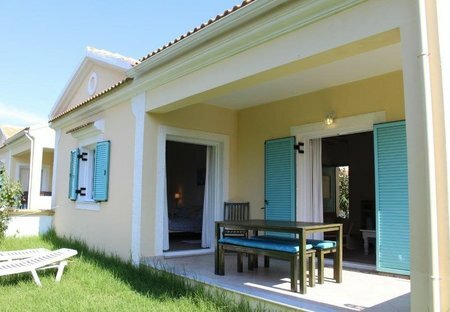 Rent villas in Agios Georgios Argyrades, Corfu with private pools. Book affordable holiday rentals that are near a beach. Our two bedroom villa is in a ideal position very close to the tavernas, shops and long sandy beach of St. Georges South. It has its own garden, and separate parking area. 3 Bedroom, 2 Bathroom, private villa set in its own gated garden in St George. Family friendly, Wifi and Air conditioning throughout. 200 meters from the beach and main resort but in quiet location.